I was in QSO with a 40 milliwatt QRPp station from Vermont today at lunch. It was AA1TJ Mike. Mike's rig was a crystal-controlled, 20m transmitter uses a single, triode-connected CK5875. A 57Vdc anode-supply results in an RF output power of 40mW. The receiver uses an identical tube in a 0-V-0 regenerative detector. I got the essentials very solid and then there was some fading in and out. I also had to deal with a broadcast signal in my amplified speaker. I really enjoyed this one. Check out Mike's Blog. Here is a note from Mike. Oh yes, I was really tickled to work N4KGL/4! Actually, I found his blog showing the set up he uses for portable operation out in the parking lot of his company during lunch hour. He's using a little Wilderness SST coupled to a Hamstick dipole mounted on a mast at 20 feet. Panama City is 1191miles from me. 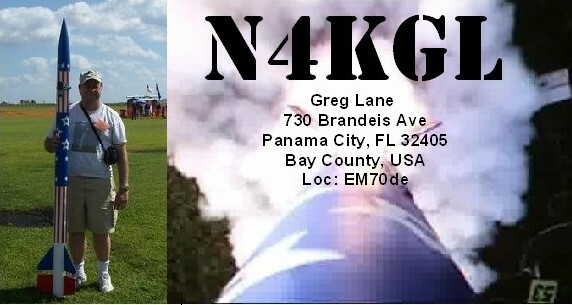 Given the distance and my 40mW signal, Greg copied while me standing out in the parking lot at an equivalent 29,775 miles per Watt! I'm going to copy Greg on this message. He reported his output power as 3w, so I'm guessing he must have modified the PA to raise the output. FB on you copy of his signal. I initially gave him a 339, but he came right up afterward.